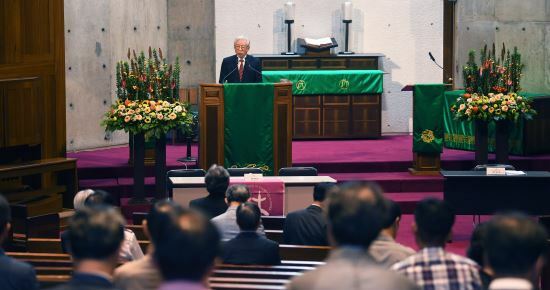 Restoration of the public ethos of the Korean church, for church unity and renewal. It was declared that this must come first of all. Another point emphasized was that in order to reactivate the currently faltering Korean peninsula peace process, the Korean churches and world churches should reinforce their solidarity in connection with the 3rd North-South Summit Meeting to be held this month. Following the opening of the office of the “Inter-Korea Exchange Group of South Korean Churches” on September 3, NCCK is in the process of organizing, together with the World Council of Churches (WCC), a joint pilgrimage team that will carry out a “walking peace workshop” passing through Gwangju; Nogunri in Yeongdong, Chungbuk-do; Imjingak in Paju, Gyeonggi-do; and the Demilitarized Zone.